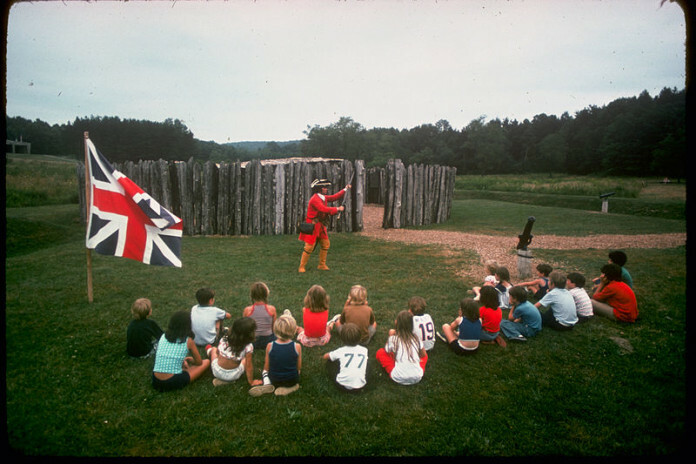 Dunbar’s Camp is located about five miles east of Uniontown, Pennsylvania, near the Jumonville Glen Unit of Fort Necessity National Battlefield. In the mid-18th Century during the time of the French and Indian War, the ridge, Chestnut Ridge, and the Alleghenies were best known as the principal physical barrier between the English colonies on the Atlantic Seaboard and the rich, French-occupied Ohio Valley. During the retreat from the 1755 Battle of Monogohela General Edward Braddock found their way to Col. Thomas Dunbar and his troops assembling the heavy baggage train. Fear spread to Dunbar’s men, who quickly destroyed the baggage train in order to make a more rapid retreat to Philadelphia. Although little celebrated in the annuals of the American military history, the debris of a major 18th-century military expedition has been much to the benefit of archaeologists and historians more than 200 years later. The Jumonville board of directors donated a conservation easement to the Conservancy on a 50-arce tract of land containing the site to help preserve Dunbar’s Camp for future generations. It means that this site of 18th-century panic and rout will remain a peaceful woodland.